In this LIVE, online class FOR WOMEN, we will be focusing on clearing, healing, and releasing the creative/sexual energy in the 2nd chakra. Almost every women I interact with in my intuitive work have blockages/trauma in their Sacral Chakra. The social and religious conditioning throughout history has done untold damage not only to female sexuality, but to our experience with the physical world around us. We’ve been told that to take care of ourselves, to have desires, or to enjoy life (or the “flesh”) is to be selfish or unspiritual. We’ve been told our sexuality is dangerous. Most of us carry untold amounts guilt and shame when it comes to allowing ourselves to enjoy our senses and our physical bodies. We’ve been taught there are “spiritual” ways to live (which usually involve abstaining from anything “pleasurable”) and that there are “fleshly” (or sinful) ways of experiencing the world (typically anything involving desire). This class is going to flip that concept on its head. We will focus on transmuting the negative energy in our sacral chakras to a divine experience of our lives as we interact with the pleasures of the physical dimension. We are meant to enjoy the physical world. All of it. 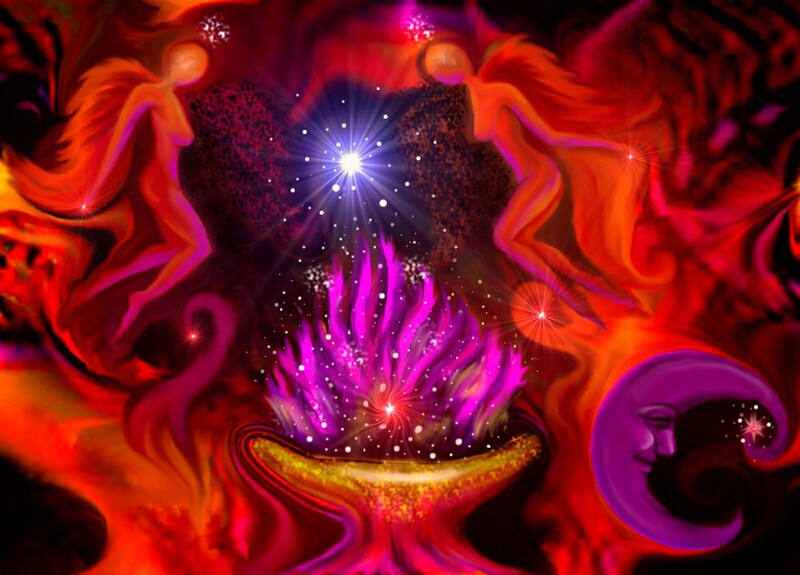 It is through the energy of our sacral chakras that we bring heaven to earth. Sexual energy is one of the most powerful, misunderstood, magical energies a woman possesses, and because of social programming /fear of female power, it has been completely misused/abused by the society (for centuries!). There was a time when women would study in Priestess houses together — perfecting their sexual art and studying the deeper mysteries/magic of feminine energy, the art of seduction, and how to use those powerful energies to bring people into alignment with their God Self. History, of course, makes it appear that these sacred temples were merely brothels (and unfortunately, as society turned away from Spiritual Wisdom they became that), but the essence — the true meaning of those mysteries is still within us. I’ve been healing/experimenting with this on my own for the past couple years, and I’ve had some PROFOUND/POWERFUL/HEALING/MAGICAL revelations and experiences. There is nothing quite like feeling empowered as a woman (especially with sexual energy) and learning how to keep it in balance, but not feeling shame about who and what we are. This class is about understanding/experimenting with our female sexual energy (through energy work/manifestation/creative outlets) and being able to connect with other women about the process. There is nothing less spiritual about the physical senses than our extrasensory ones. Allow yourself to enjoy both! Live with passion! That is truly how we will bring heaven on earth. TO REGISTER for the class, fill out the form below and complete your purchase through Paypal. I will open a private Facebook group for anyone who registers so we can share our experiences with the process and support one another. We need our sisterhood allies! Class starts April 22nd and goes until May 22nd. 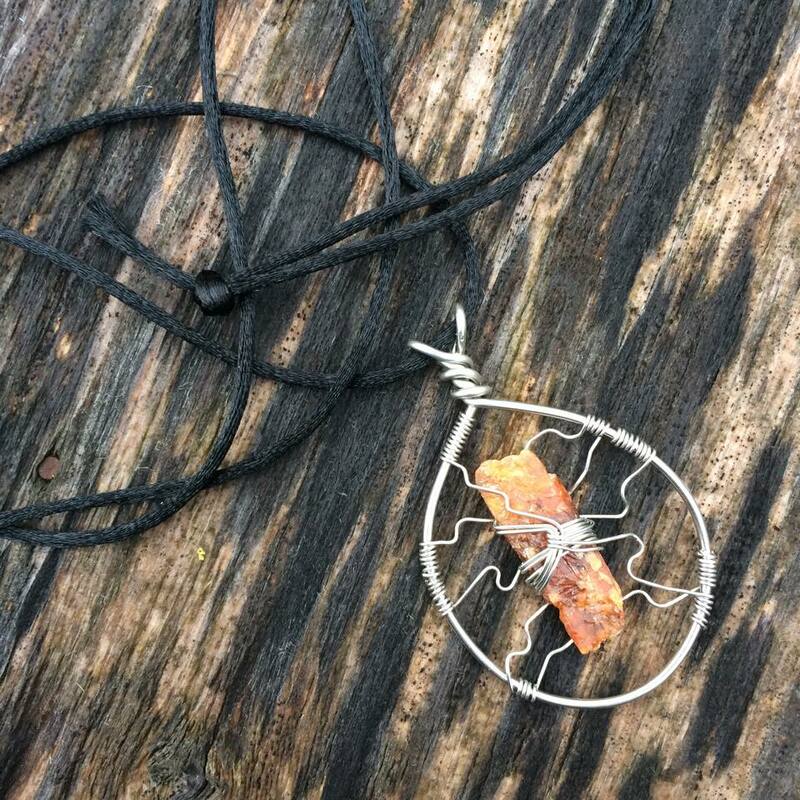 All who pre-register will receive a free orange kyanite stone necklace (a powerful sacral chakra healer/activator stone) and an online workbook on healing and empowering the sacral chakra. ← Go Home, Get Triggered, Write a Poem.